When choosing an engagement ring, the amount of choice made available to you can prove daunting. The style of ring, as well as the cut of the stone and the colour of the band can be difficult decisions, as they have a huge effect on the overall look and feel of the piece. Engagement rings come in all shapes, sizes and colours. There’s not much you can’t do with an engagement ring, but naturally there are some crowd favourites. These favourites are popular for a reason. Displaying radiant beauty, they look fantastic on any hand size or colour. At Gerard McCabe, we are Adelaide diamond experts, and design and create a stunning array of engagement rings. As such, we have a wealth of knowledge when it comes to the most popular and trending styles. 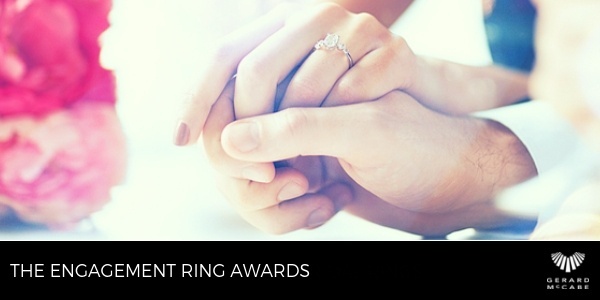 Here are some of the most popular and trending types of engagement rings to help you in your decision-making process. 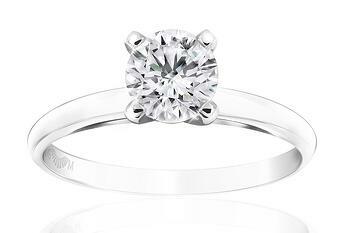 White gold is the most popular colour for engagement ring bands, overtaking yellow gold some time ago. White gold is extremely elegant, and champions the brilliance of its diamond. 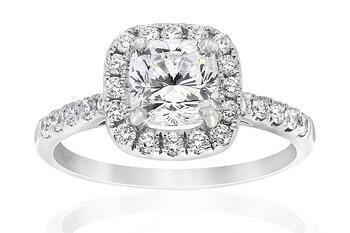 The Aura and Halo styles of engagement rings are very popular. With these, a significant, central diamond is surrounded (haloed, if you will) by many smaller diamonds, creating a visually stunning ring. Often, the bands of these rings will contain diamonds also. Round cut diamonds are by far one of the most popular cuts. 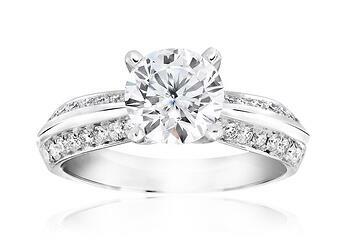 This is because, while some cuts of diamonds are only suited to particular shapes of hands, a round cut diamond will grace the finger of any who wears it. It is a safe choice for those who aren’t sure which cut would be best, as they make for truly spectacular engagement rings. Year by year, season by season, the popularity of certain styles, colours and cuts will change. What is important when choosing an engagement ring, is that you pick a ring that suits the person who will wear it, not the current trend. As Adelaide diamond specialists, we work hand-in-hand with you to ensure that you get the perfect engagement ring. Our team of Adelaide jewellery experts take the time to get to know you, so you can have the peace of mind of knowing that the ring you take home is one that will serve you proudly for the years ahead. Visit us in-store or online to view our wonderful and wide collection of beautiful engagement rings.